Working with Bulls Bikes, our certified Magento 2 developers created unique integrated B2B and B2C ecommerce sites with a highly customized ecommerce checkout experience. Our designers created a new theme for each site, and our developers integrated this into Magento 2 while also performing data migration from their legacy system. The resulting sites show the very best ecommerce development has to offer. Have a question? Lets chat. 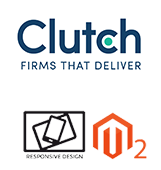 Let us bring our ecommerce and Web Development expertise to your business.